It seems like just yesterday I was dropping my kids off for the first day of school. But now, when I look at the calendar, I see that Halloween is coming soon. Very soon. It’s too late to cram in a trip to the pumpkin patch and all the community Halloween events have come and gone. But, you still want to have a little family fun for the holiday. What can you do? 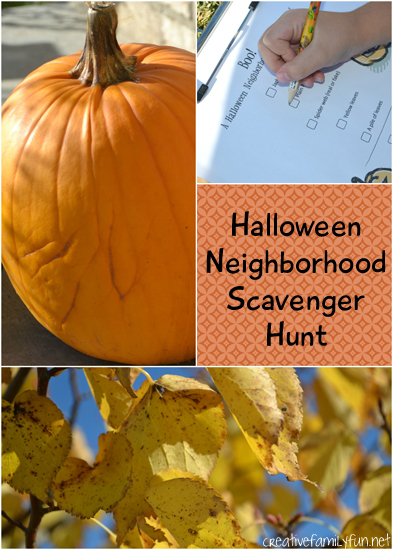 You can go on a fun Halloween Scavenger Hunt in your neighborhood. Gather the kids up after dinner, bundle up, and go outside. 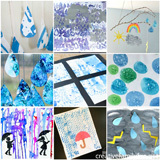 Check out your neighbors’ decorations and have some last-minute family fun. My girls love scavenger hunts, absolutely love them. I tend to agree with them. 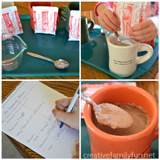 Scavenger hunts are a great way to spend a little fun time with the kids. And it can also get them outside and moving. I can’t really think of a negative thing about them. So when the schedule is tight and you’re just about ready to give up on the possibility of any family time, remind yourself of these two words – scavenger hunt. Scavenger hunts are usually easy to prep. 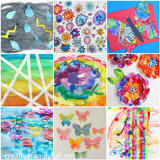 You can find so many that are already prepared; you just need to print it out. (Just like this one.) All ages love them – heck, I still love to go on scavenger hunts. 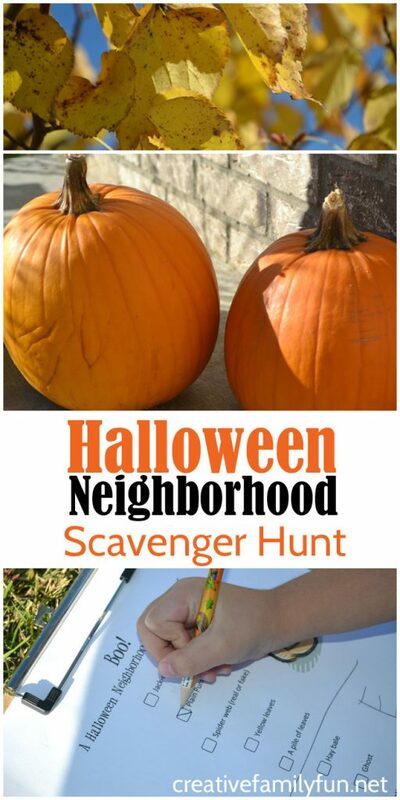 This Halloween Neighborhood Scavenger Hunt should work for just about any neighborhood. I’ve included things in nature as well as popular Halloween decorations. If there is something on the list that just won’t work for your neighborhood, cross it off and add your own item. The important thing is to just have fun. You can click the link below to download the scavenger hunt sheet. Print off as many as you need! I keep a couple of clipboards handy for activities like this. 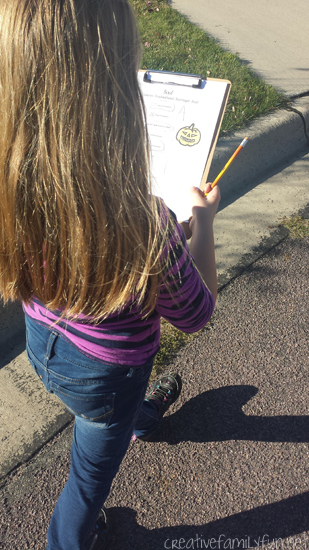 It’s so handy to carry along a writing surface with you on your scavenger hunt. 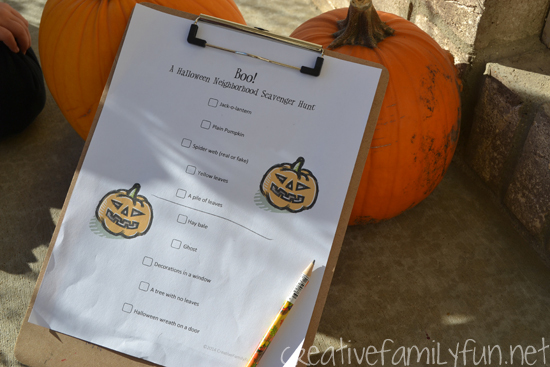 Get your Halloween Scavenger Hunt Here. Don’t panic when you look at the calendar and see that Halloween is coming soon. 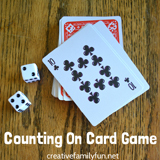 There’s still time for a little family fun.